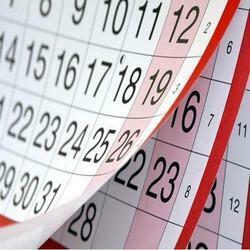 Prominent & Leading Manufacturer from Mumbai, we offer calendar printing services, calendar designing services and paper bag printing service. 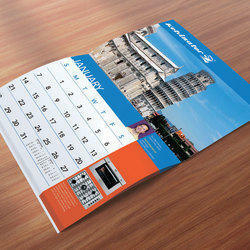 With an aim to fulfill varied requirements of our valued clients, we are engaged in offering Calendar Printing Services. At our manufacturing unit, our professionals use quality paper, custom designs provided by clients and modern computer applications such as Coral Draw and Photoshop to provide crisp designing support, attractive printing in a variety of formats, and choices by using monochrome or two colors. Furthermore, clients can opt for personalized finishes and fabrication on the calendar. We are effectively ranked amongst the dependable names of the industry by offering qualitative services for Calendars Designing Services. The offered designing services are rendered by our diligent professionals keeping in mind the details given by our clients by utilizing supreme quality materials and modern techniques in tune with set industrial standards. In addition to this, our clients can avail the offered designing services from us at competitive prices. Being a well-established organization, we bring forth an excellent assortment of Kraft paper bags . Our provided bags are highly acclaimed by our valuable clients for their attractive look, design and durability. The offered bags can be availed by our clients at nominal prices. These bags are designed by a team of our skilled professionals using the best quality basic material and cutting edge technology.